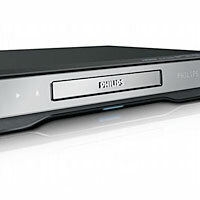 The newest Blu-ray Disc players from Philips will feature Blockbuster On Demand support, allowing streaming movie purchases without having to go to a rental store. 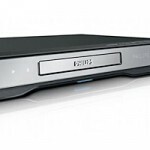 The Philips 5320 and 7320 Blu-ray player models have supposedly added support for the service. However, good luck finding one of the BD models to purchase. We checked the Best Buy, Radio Shack and Amazon stocks but came up short. Here’s a link to the BDP7320 on the manufacturer’s website. The BLOCKBUSTER On Demand service provides comprehensive on-screen search and browsing capabilities, as well as full details, ratings, trailers, and other information about each movie directly on the television. “[The service] gives customers instant access to the very latest new releases on the same day as DVD and Blu-ray,” said Bruce Anderson, Blockbuster On Demand’s Senior Vice President and General Manager.